Brad Gibbs has been providing custom foot orthoses (Orthotics) and high quality pedorthic services since 1988. As a Canadian Certified Pedorthist, Brad is an expert in lower limb biomechanics, and the design, manufacture and fit of custom foot orthoses (orthotics), footwear and footwear modifications. Brad is a human movement professional. With a Bachelor of Science degree in Honours Kinesiology (University of Waterloo), Brad has an extensive understanding of the biomechanics and anatomy of the human body and the factors that affect human locomotion (how we walk). In 1990, Ortho-Kinetics Inc. was established in Cambridge Ontario and has developed a strong and effective partnership with physicians and allied healthcare professionals to provide excellent service, products and advice to improve the health and lifestyle of the people in the community. 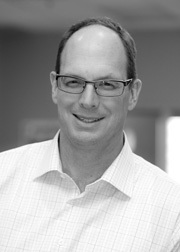 In 1995, Brad established a satellite clinic in Oakville, working with family physicians and orthopaedic surgeons. Since 1998 he has partnered with Oakville Sports Medicine Centre in providing comprehensive and complementary healthcare services to the Oakville community.